Our Team | Realty Evolution, Inc. specializing in listing & selling residential homes, condos, townhouses, residential lots and land in Ormond Beach, Palm Coast, Flagler Beach, Plantation Bay, Halifax Plantation, Hammock Dunes, Daytona Beach, Port Orange, Florida. Marsha is a seasoned real estate professional, first licensed in Indiana as a sales agent. She later obtained her broker's license in Minnesota in 2002, and Florida in 2006. She is the President of Realty Evolution, Inc. and brings excellent experience in both listing and selling residential properties within Flagler and Volusia Counties. She has a proven track record of success, with sales transaction volume of over $40 Million over the last Four years. In 2014, Marsha started Realty Evolution, Inc., located in Flagler Beach, Florida. Paul is a seasoned business and information technology executive and program manager turned realtor. Paul was first licensed in 2002 in Minnesota and Wisconsin before returning to the corporate world. He obtained his Florida realtor license in 2012, and his broker's license in 2014. He leverages his experience to analyze market trends while helping customers to achieve their housing goals. His focus is listing and selling residential properties in Flagler and Volusia Counties in Central Florida. Paul and Marsha are residents of Plantation Bay, a gated golfing community in Ormond Beach. 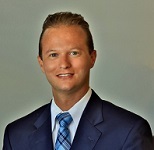 Brett is a native Floridian who obtained his real estate license in 2005 and brokers license in 2014. He specializes in residential sales, investment property, vacant land, and new construction. Having worked for a builder/developer for six and a half years and acquiring his own investment properties, he is well rounded with all facets of residential real estate. Brett is a resident of Flagler Beach and enjoys playing/writing music, surfing, and simply living the Florida lifestyle. 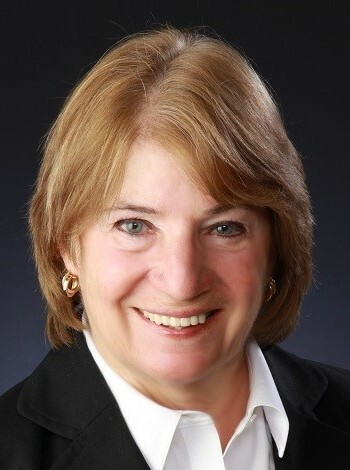 Barbara is a highly experienced Real Estate professional who specializes in listing and selling properties in the gated golf community of PLANTATION BAY in Ormond Beach, Florida. She is extremely knowledgable about the different communities within Plantation Bay, and "lives" the Florida life style every day. Barbara "Lives in Plantation Bay, Works in Plantation Bay, Plays in Plantation Bay, and Loves Plantation Bay". She sells only Plantation Bay. Dee is a licensed realtor and a member of the Daytona Beach Association of Realtors. She moved to Ormond Beach in 2011 and lives in the gated golf community of Plantation Bay. She worked for a builder developer in Ormond Beach for two years as a Community Ambassador. Prior to moving to Florida, she was the Executive Vice president for a national non-profit organization in New York. Dee is an avid golfer and served as President of the Plantation Bay Niners' in 2014. She enjoys playing bocce ball, Mah Jongg, exercising at the gym, and participating in her neighborhood book club. Dee enjoys working with people and whether it's buying or selling she strives to provide her customers with a valuable and memorable experience.